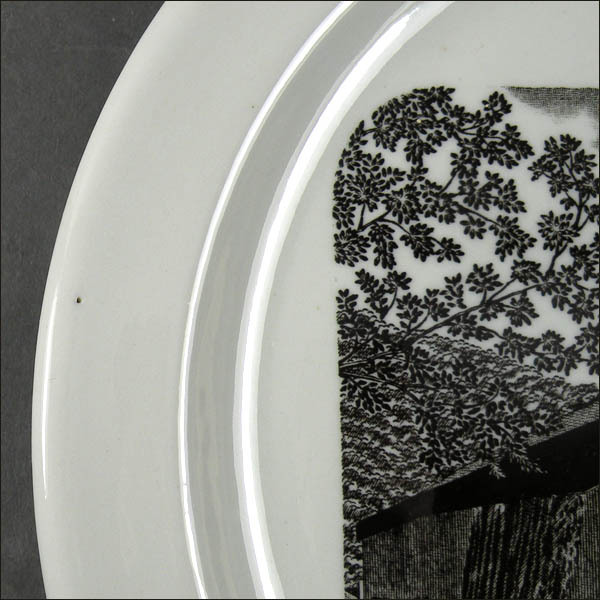 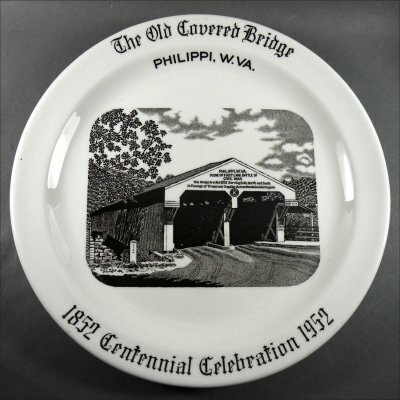 This hard-to-find plate is approximately 9 1/8 inches in diameter and made for the Centennial Celebration of Philippi, West Virginia. The plate, engraved by Carr China artist George W. Staton, depicts the town's covered wooden bridge. 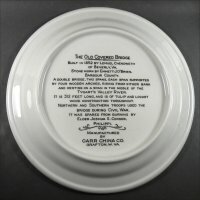 The plate is in nearly mint condition. 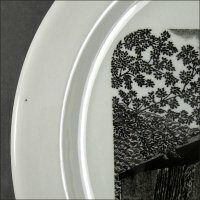 I can only see several light stacking marks, and it has one dot of extra paint on the left side, as shown in the detail photo below, and made during production..